08 Feb 2019 --- This week in nutrition, Lonza expanded its distribution agreement with Quadra Chemicals Ltd (Quadra) in Canada. Probiotic brand Culturelle and Persona Nutrition have partnered to deliver the Culturelle probiotic through Persona’s personalized nutrition program. ESI Nutrition – Laïta’s new nutrition division – is highlighting its capabilities in the MENA region to develop and launch infant nutrition products. Lastly, Nuherbs is marking its 40th year as an importer of Chinese herbal formulas and premium Chinese herbs. Lonza is expanding its distribution agreement with Quadra in Canada, building on its existing five-year relationship. The newly expanded agreement allows Quadra to sell Lonza Consumer Health & Nutrition’s full range of consumer health and nutrition ingredients to customers in Canada, including its UC-II undenatured type II collagen. Lonza’s Carnipure L-Carnitine and ResistAid natural immune support ingredients are already represented by Quadra in the Canadian market. “This latest development enables Quadra to add further science-backed ingredients, such as Lonza’s UC-II undenatured type II collagen, to its existing portfolio. This will provide relevant manufacturers and brand owners in Canada even more choices when creating nutritional supplement formulations, which ultimately benefits consumers,” says Beth Tormey, Senior Vice President and Head of Global Business Unit at Lonza Consumer Health & Nutrition. Click to EnlargeProbiotic brand Culturelle and Persona Nutrition have partnered to deliver the Culturelle probiotic through Persona’s personalized nutrition program. Culturelle will be paired with Persona’s Foundational Multi to optimize overall health. The Culturelle Probiotic supplement is touted as containing naturally sourced ingredients and delivering live active cultures of the Lactobacillus rhamnosus GG (LGG) strain, which is one of the most clinically studied strains of probiotic. 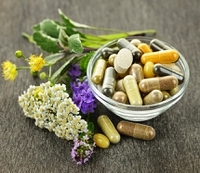 “We understand the personalized nutrition market is an important option where many consumers are turning to help support their daily wellness goals and we want to make our leading probiotic brand – Culturelle – available to all consumers who want to support a healthy microbiome,” says Wes Parris, President and CEO, i-Health, Inc., maker of Culturelle. ESI Nutrition – Laïta’s new nutrition division which launched in 2018 – will be exhibiting at Gulfood 2019, in Dubai February 17-21, for the first time. Concerning the MENA region, ESI Nutrition notes that the need for reliable partners in the infant nutrition market is pressing as countries in the region are facing a double burden of nutrition. 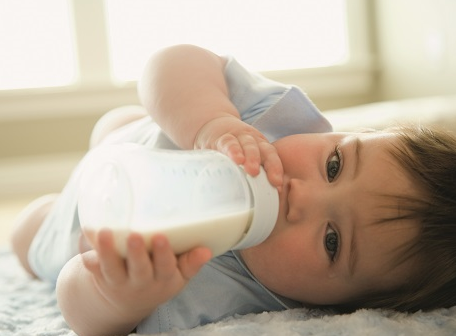 However, the company is highlighting how it can reduce time-to-market and help companies overcome regulatory hurdles in the growing infant nutrition market. Through one-on-one support and a large spectrum of solutions designed to meet the functional, nutritional and regulatory constraints of their customers, ESI Nutrition says it is committed to supporting companies in the region to launch top-tier products with a reduced time-to-market. “Especially when it comes to products for infants and toddlers, partnering with the right suppliers who, like ESI Nutrition, have both a deep understanding of the evolving regulatory landscape as well as technological and processing expertise is paramount for companies who wish to meet the strict demands of this industry”, explains Mathieu Lucot, Marketing Manager at ESI Nutrition. Bioiberica is set to present its new identity and corporate website to “modernize and update the company’s image, optimize its online presence and strengthen communications with clients.” The new brand, made up of a single line and color, features rounder and “more visually pleasing” forms, is aimed at enhancing the proportions and weights between the symbol and the logo, and modernizing the font. “We're looking for a clear update to the image, without losing sight of our essence, while still focusing on the future,” says Alba Soler, Bioiberica's Director of Corporate and Internal Communications. The new corporate website, which reinforces the company’s orientation to business, was created based on analyzing and adapting the site to users' browsing preferences, especially on mobile devices. These changes are the result of the company's strategic plan for upcoming years, where it will focus solely on the Life Science sector.